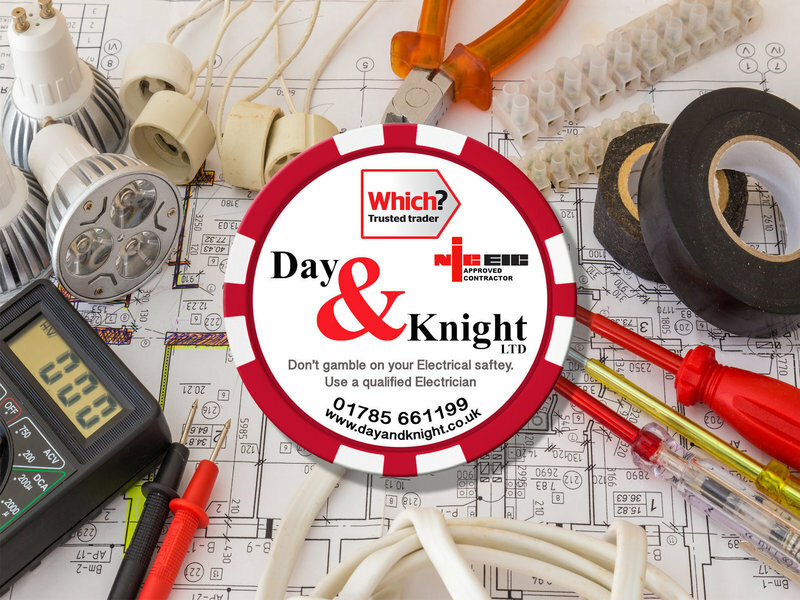 Day and Knight is committed to meeting the challenges of electrical installation and maintenance for private and business consumer. We are based in Staffordshire and cover Stafford, Rugeley, Penkridge, Cannock, and much more, call us for a no obligation Quote. Part P approved (legal building regulations)and time served. We offer our clients a unique and friendly service always striving for the best price and always working to a highest standard of workmanship. With the latest equipment to make any job run smoothly. From the first contact, FaceTime quote, to the completion of the work, Dave is a complete professional and I felt very confident that the electrical work I had asked him to check and make safe was done so. He was tidy, cheerful and respectful of being in someone else’s home. Quotes and certificates were prompt, he arrived at agreed times. I would have no hesitation in recommending Day and Knight. It’s very difficult if you don’t know anything about electrics to decide who to trust. With Which? I found the reviews honest and trustworthy. 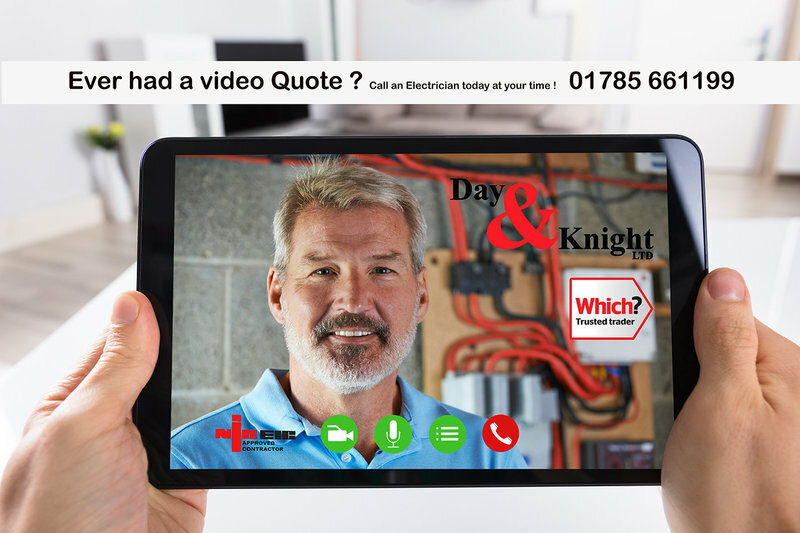 Can highly recommend Day and Knight for any electrical work. We've used this company for a whole house re-wiring and for smaller jobs. 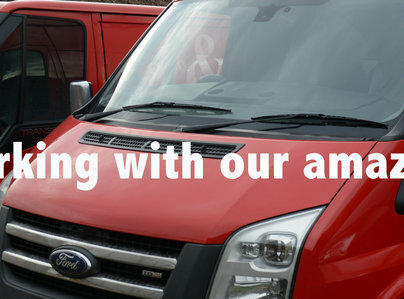 They are always very professional and gets the job sorted to a high standard. Can definitely rely on him, and no job is too big or small! Thank you. Thank you for review. You can always sleep better at night knowing your electrics are safe. New fuse box and safety inspection. Main fuse box and rest of house electrics inspected. Work done to schedule and finished early. Was very helpful taking the time to save any issues that came up with the inspection as it's an older house. Great service, very happy with work done. Thank you John great to work for you. Electric wiring check done to agreed schedule and budget. Very satisfied. Would use Dave Knight again. Dave fitted us some lights and sockets. They look amazing and he was so friendly and professional. He also did a electrical check and explained clearly what it all meant. Whilst doing the check he noticed a gas leak and arranged for it to be sorted and fixed the same day. Really happy thank you Dave and your father-in-law (the gas leak fixer). Thank you Diana. Great to work for you glad we found the gas leak ! The lights in my parents bathroom weren't working so I contacted Dave to arrange for him to come out and repair them. It wasn't a big job but my parents are elderly so it's very important to me that they use someone that they feel comfortable with and that I trust implicitly. Dave turned up on time and mum was really impressed that he automatically put on boot covers, a huge plus point especially as my parents have cream carpets! Dave was polite, friendly and he quickly fixed the problem and ensured that the place was clean and tidy before he left. I first met Dave when my builder brought him in to do the electrical work for our garage conversion. The builder uses him because he turns up on time, does an excellent job at a reasonable price, cleans up after himself and he plays nice with others! Dave has done a number of electrical jobs for me over the last couple of years, he is the person I call if I need something, and I have always been impressed with him as an individual and the quality of his work. Dave did some work on the electrics in my parents bathroom. He turned up when he said he would and completed the job without any issues. Dave is very reliable and conscientious and can be trusted to complete the job on time and at a reasonable cost. He is very friendly, always cleans up after himself and wears boot covers which is essential as my parents have cream carpets! As my parents are elderly it is very important for me (and them) to be able to call on tradesmen that are 100% reliable and trustworthy and Dave ticks all the boxes for me. 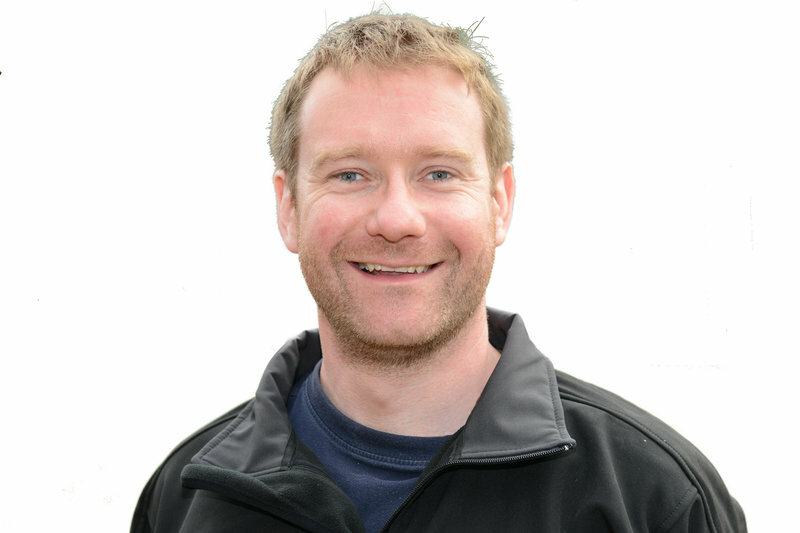 I initially met Dave when my builder brought him in to do the electrics on a garage conversion and if my builder trusts him he must be good as the builder works to very exacting standards and Dave has always lived up to expectations. Dave is my "go to" electrician and he is now the electrician that my parents will always call as I can rely on him to provide a prompt and excellent service without any worries. David was very polite & chatty. He performed all work to a high standard. I had a ring door bell fitted which was no easy task. Several plugs changed & a full electrical test completed. Thanks you for work and review !